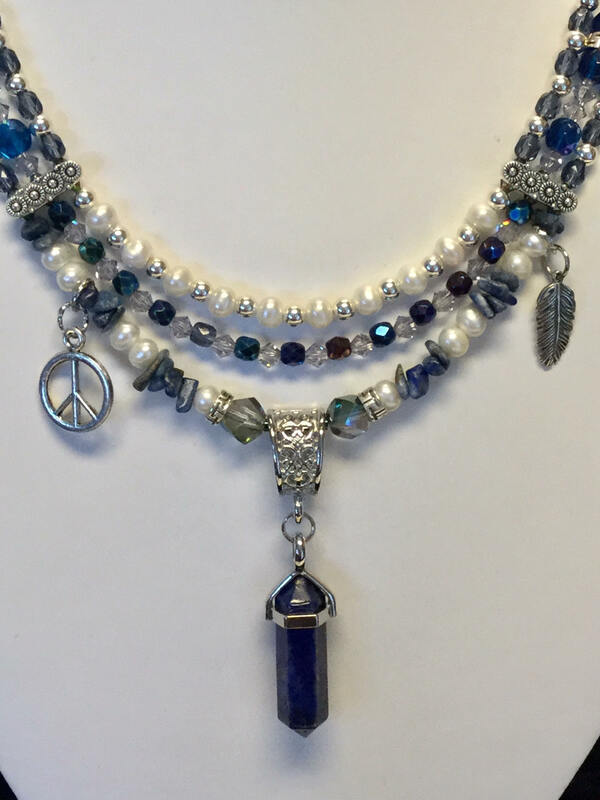 This necklace features a lapis lazuli chakra stone that protects from negative thought and hostility. It also helps its wearer to think clearly, with insight and empathy. 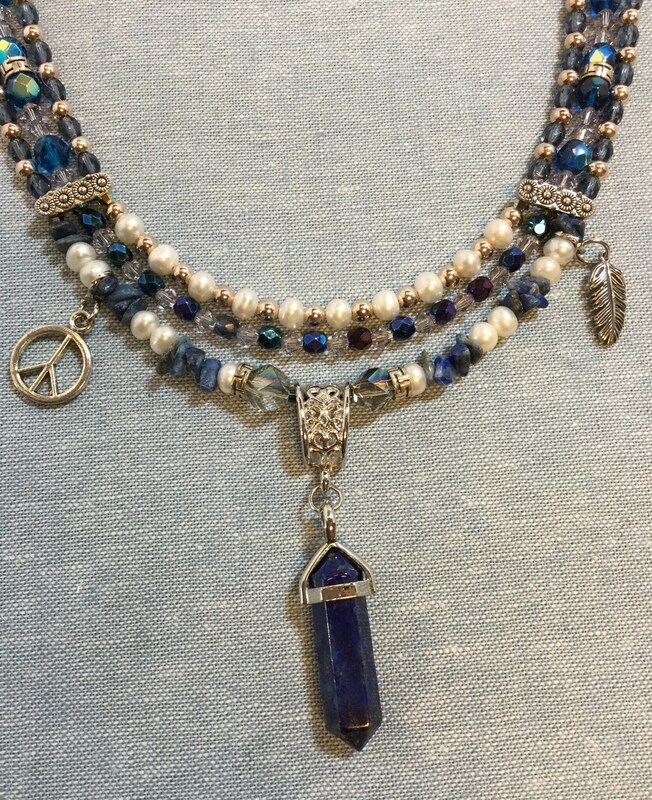 The lapis lazuli pendant is complemented by lapis chips on the lowest of its three strands, as well as smooth lapis beads in the top single strand. 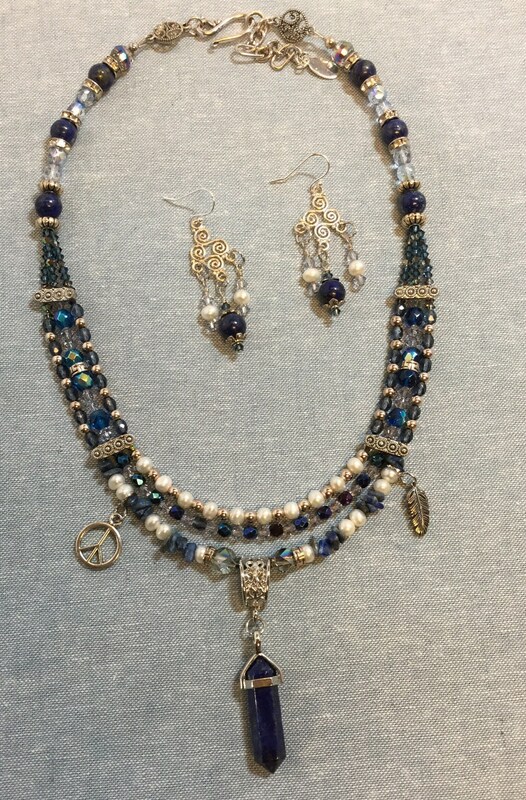 The other two strands pair Czech beads with Swarovski crystal, and freshwater pearls with sterling silver. 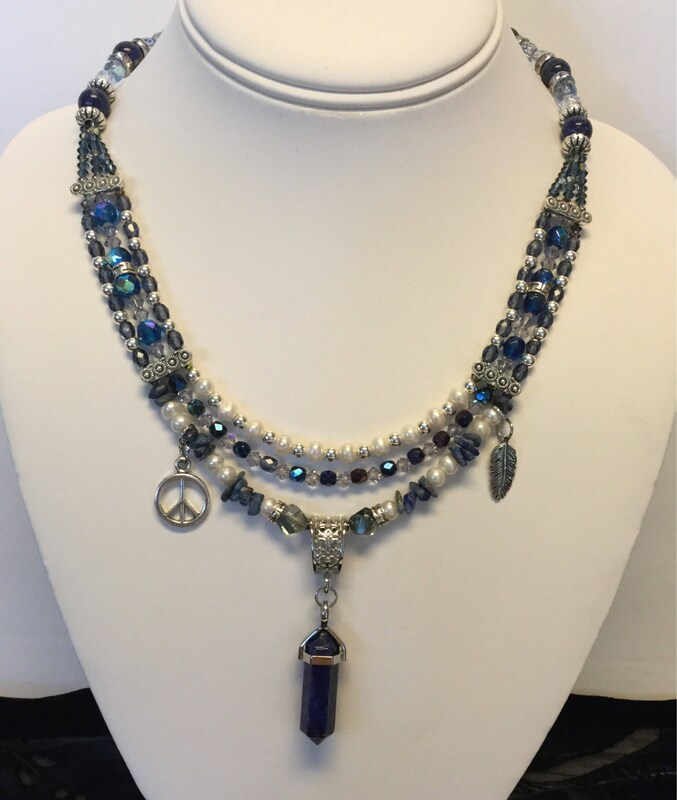 A Tibetan silver peace sign and sterling silver feather complete the Hippie Chick requirements. 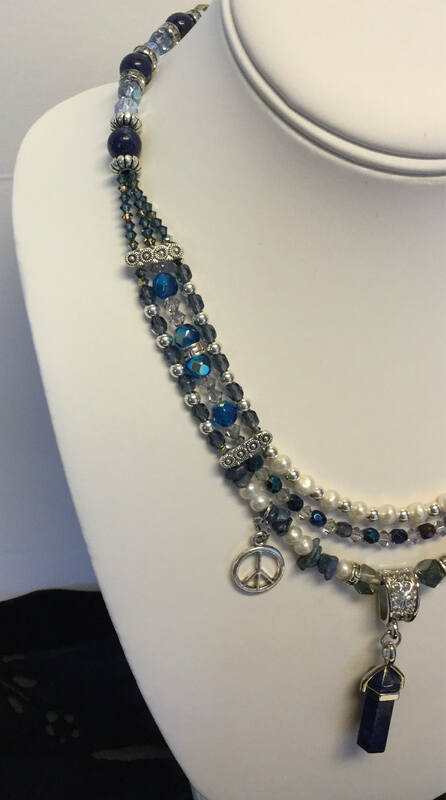 The necklace measures 18 inches and is adjustable with a two inch tail chain and a silver hook and eye closure. The pendant measures 2 1/4 inches long and 1/2 inches wide. 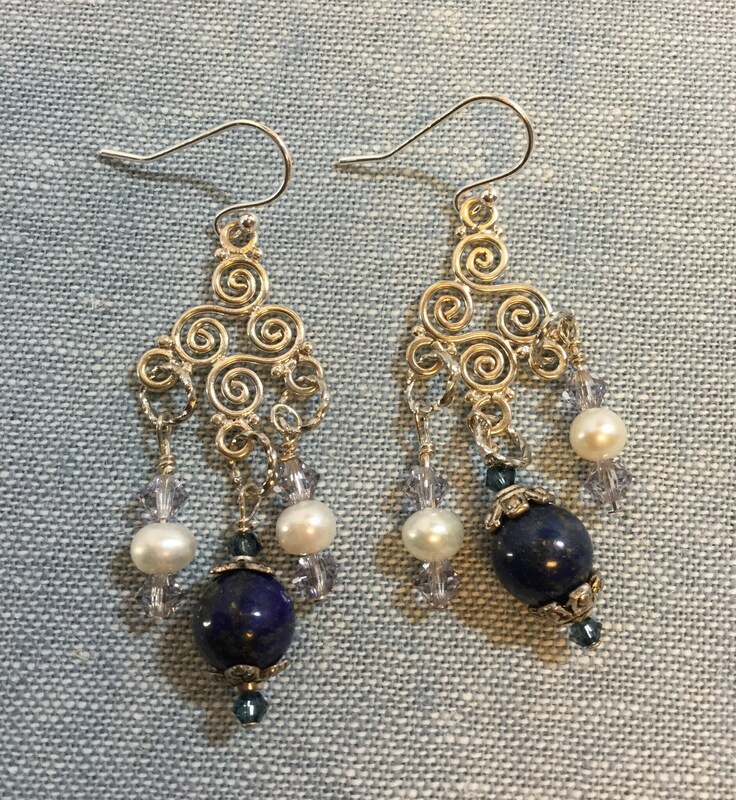 The matching earrings dangle lapis, pearl and crystal from a sterling design. All ear wires are either sterling silver or gold French hooks.